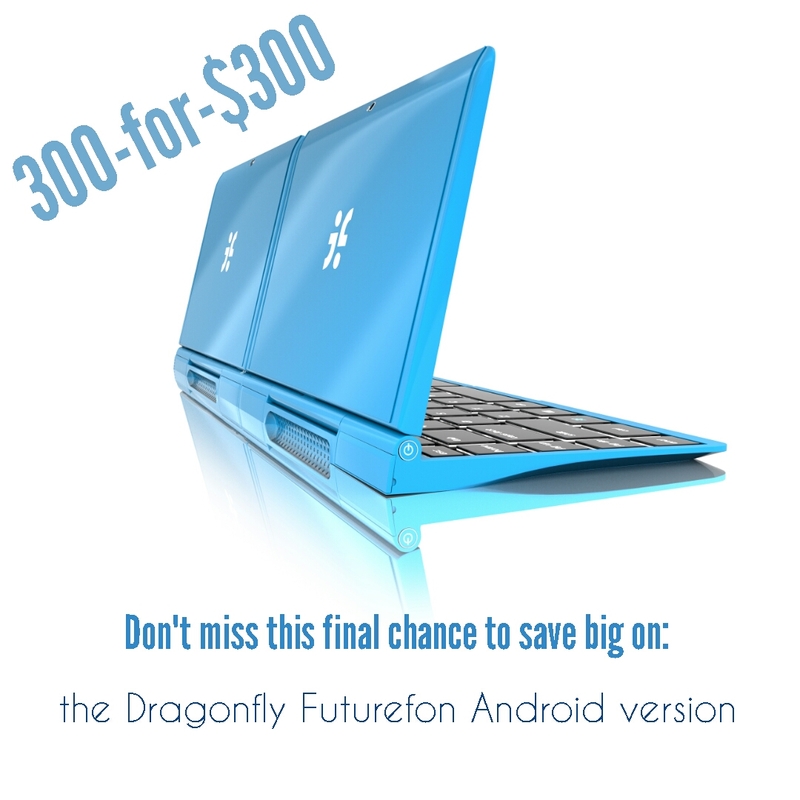 TWO FINAL SPECIAL LOW PRICED PERKS FOR WINDROID & ANDROID VERSIONS OF THE DRAGONFLY! 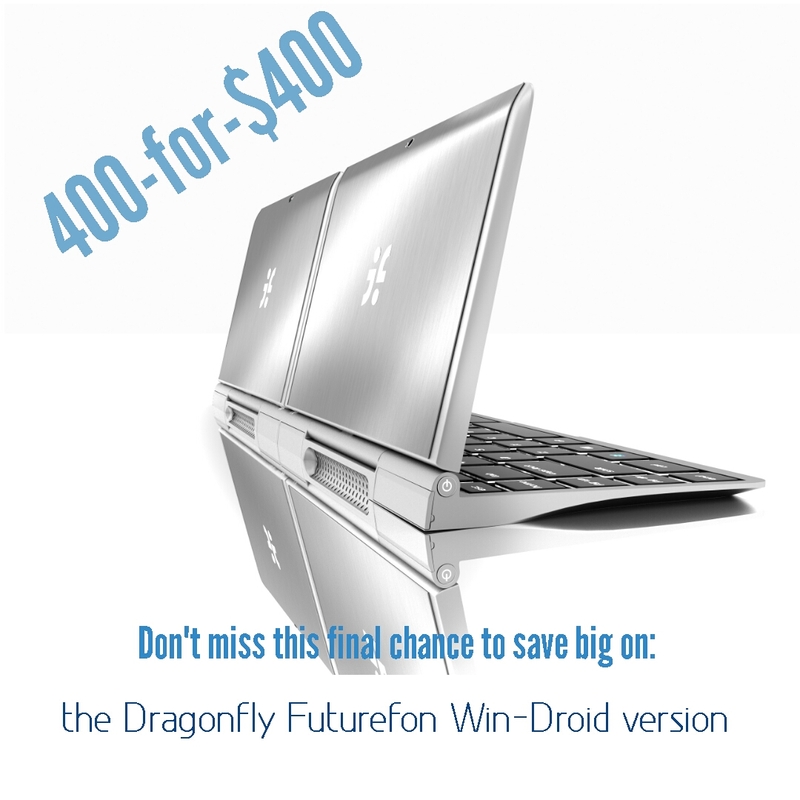 We just put up two final special offers on both the WinDroid and Android models for everyone who missed out on the first two. They are both up simultaneously so you can choose which model suits you best. 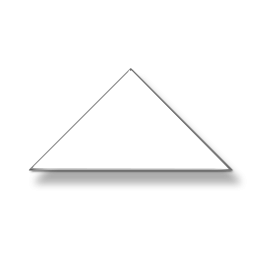 Thank you to everyone who participated and we look forward to growing our numbers of Dragonfly owners. ← Everyone looking to upgrade their original 99 for $99 perk, please do so if your able.